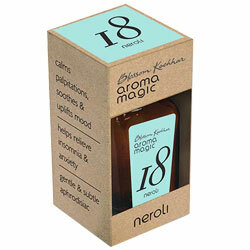 Aromamagic Neroli Oil - calms palpitations, soothes & uplifts mood, relieves insomnia & anxiety. Calms palpitations, soothes and uplifts mood. Helps relieves insomnia and anxiety.